Why do people love diamond? Is it because diamond has a high price tag sticked to it? No. There are a lot of expensive things that we don’t naturally like. So is it because it shines like nothing you own? No. A lamp on the street can shine too, but we don’t naturally love a lamp. So why do we love this tiny, precious diamond? Korby Chan, the founder of JOLIESSE, is eager to tell us why. The very reason that we appreciate diamond, is because this shiny stone does not come easily. It takes years of hard work and particular taste make one. This very process is why people propose with diamond, as the shaping of diamond is just like a meaningful relationship with its ups and downs. Korby wants to share this very reason to all of us. This is why he starts Dr. Diamond Studio, a place where you can join courses to learn the crafts of the precious stone, and request for diamond design, repairs and processing. To spread the core message of the studio, Korby needs a good website. And as their web design partner, we believe a 1-page site is the best fit. This 1 pager fits Korby’s need because his target audience is mostly middle-aged adults. This group is not particularly tech-savvy and not patient to view large scale website. This 1-page site allows them to quickly understand the courses and services provided. 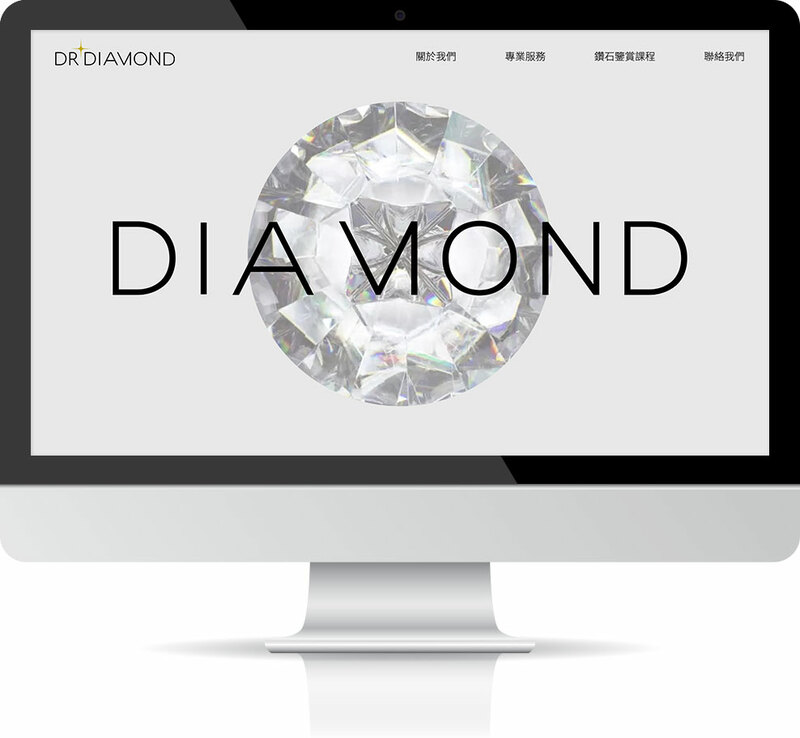 To make this site more attractive, we place a rotating diamond on top, with a mask on it. 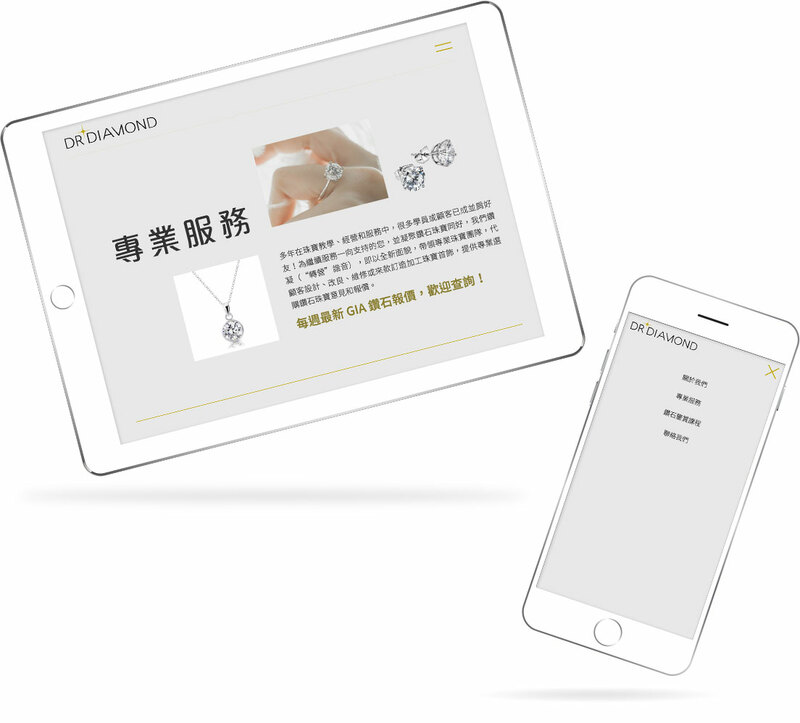 When user first lands the page, his attention is immediately focused on the rotating diamond in the middle, its beauty and shininess. 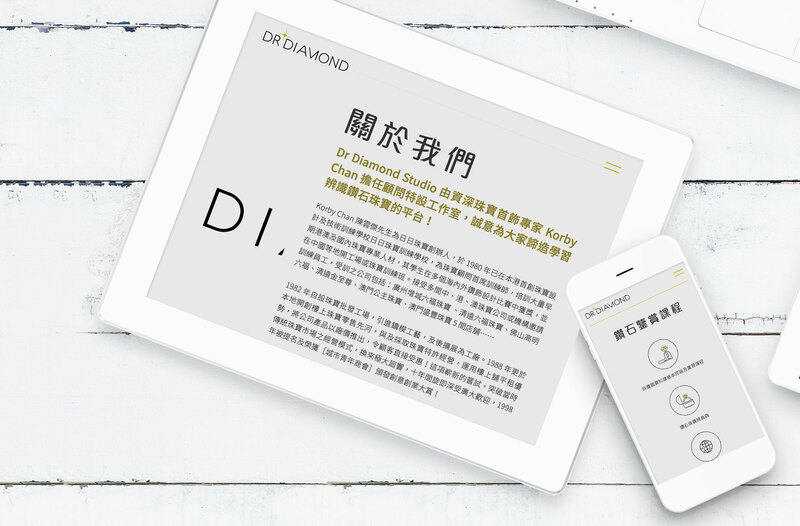 When you scroll down, you see a word ‘Diamond’ fixing in the middle of the page and covered by other content. This parallax effect reminds users of the main theme of this site, and offers vivid visual experience to users. We really hope this 1 pager can help Korby spread his passion and appreciation about diamond crafting, to citizens like you and me.